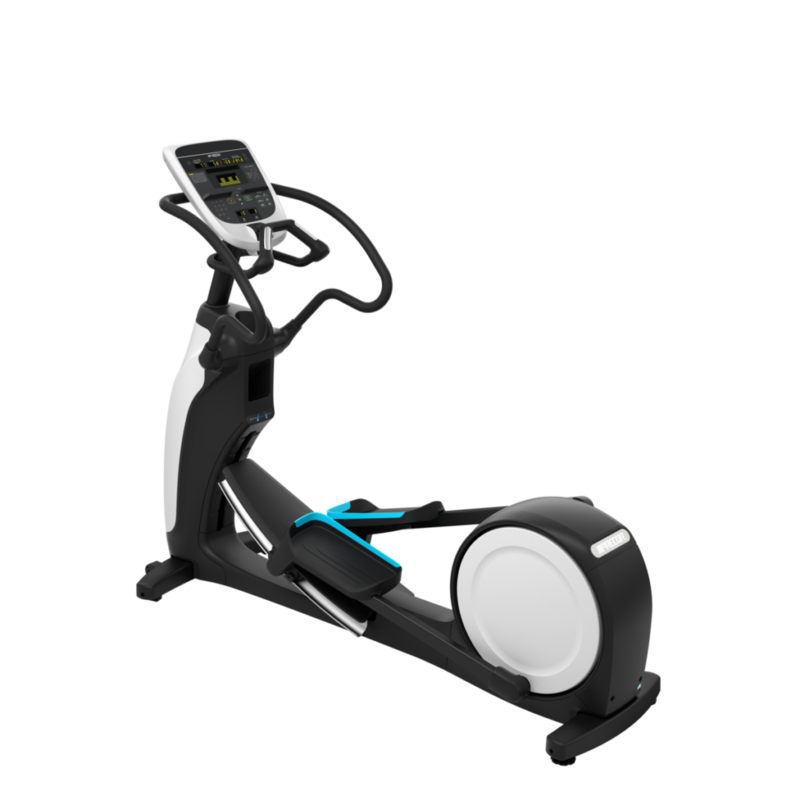 The EFX® 833 with Converging CrossRamp® combines reliability and ease of use with a natural converging stride path to give you the perfect elliptical. Design enhancements ensure easy cleaning and maintenance while the unique adjustable Converging CrossRamp® technology, and fixed handlebars, deliver a comfortable lower body workout. The adjustable CrossRamp® technology on the EFX® 833 offers ramp inclines from 10 to 35 degrees, along with 20 levels of resistance to target different muscle groups for more workout variety. And, our unique converging stride path allows your footpath to converge naturally – just like walking or running. The 830 Line console features easy to use motion controls and an LED-based display that focuses on the essential fitness stats that keep users informed and engaged. The EFX 833 is available in two frame colors: Silver and Black. Water Bottle and Accessories Holder Thoughtful, secure storage with a logical, clean place for your water bottle, cell phone, and other accessories.